When I was growing up in Lansdale, PA, we had a beautiful bush in the back yard that my mother referred to as the chinese cherry. She had planted it in honor of her father who was from Canton, China. He lived in London, England where he met and married my grandmother. There my mother was born and lived until she married my father and came to this country. We always had "important" pictures, like First Holy Communion, taken in front of the chinese cherry. 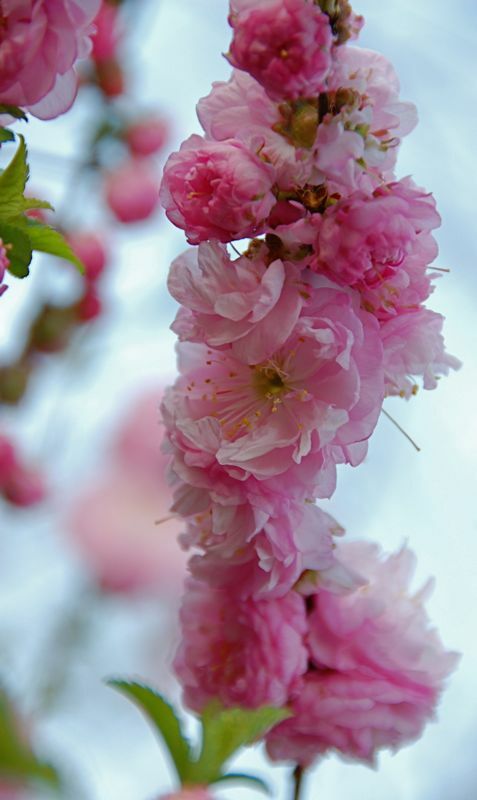 When I found one to plant in my garden, I learned that it was also called a double flowering cherry. Mine is getting overgrown and I have to find another one to plant in a better spot. Every year while it is flowery I make sure that I walk down and admire its lovely blossoms. This is really beautiful....the blurry background looks wonderful.